Pete from aflratings.com.au looks at the average differentials for the Crows. Rory Laird (2018 Ave: 107.8) was a positive for fantasy coaches this year increasing his H&A season average by 7.4pts, he did miss 2 games during the Bye weeks that hurt many without decent cover. Laird averaged 125.0pts from his opening 4 games of 2018 & averaged 98.5pts over his next 14 games before finishing with back to back 138pt games to finish out his year, with the return of Sam Docherty it will be interesting to see how many coaches will start with both Laird & Doch at Round 1 in DEF. After a very bright beginning Bryce Gibbs (2018 Ave: 103.8) averaged 123.5pts from his opening 4 games of the year, he then proceeded to score 100pts or more in 10 of his last 18 games averaging 99.4pts. We never we able to see the quartet of Sloane, Gibbs & the Crouch brothers in 2018 meaning the impact will be unknown again at Round 1 next season, at best Gibbs is likely a borderline selection to begin the year which may come with a very low ownership. Rory Sloane (2018 Ave: 89.9.) is under-priced heading into the 2019 H&A season having missed 9 games through injury in the early part of the season, he averaged 98.9pts from his final 7 games of the year. 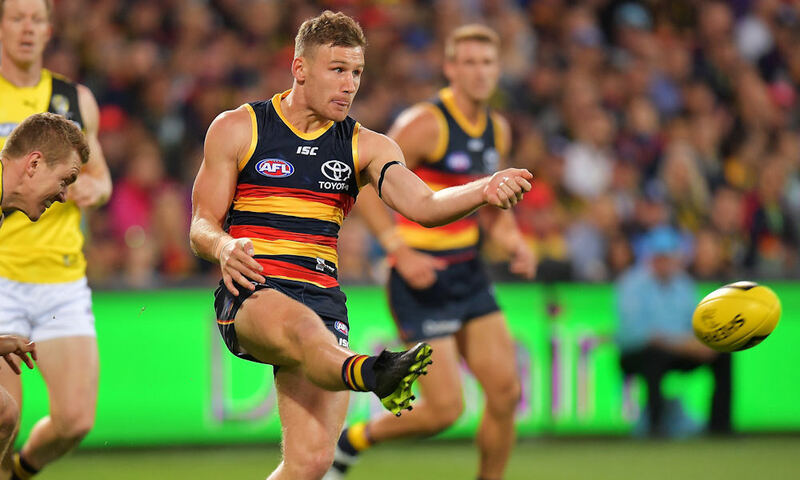 Sloane managed just a season high of 115pts in Round 2, given a full pre-season and a full strength Adelaide midfield next year then he could be a very good value selection. My early watch list: Sloane, Crouch x2, Laird. Also got a watch on Walker if he has a full, uninterrupted preseason.